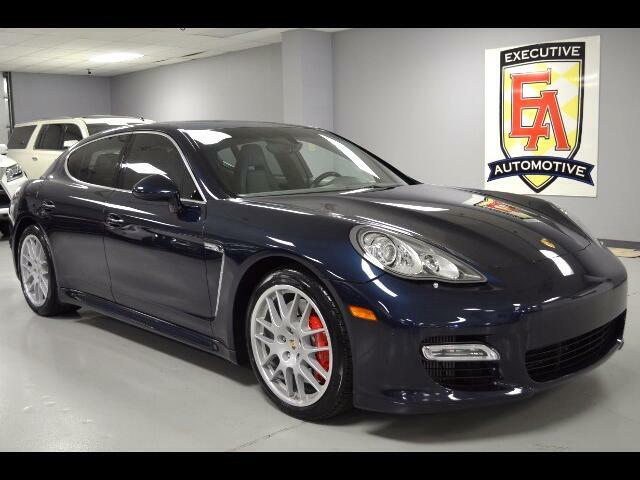 2011 Porsche Panamera AWD V8 Turbo, Dark Blue Metallic with Platinum Grey Leather, MSRP NEW $149,755, 4.8 liter, 500 HP, 516 lb ft torque, Options Include: BURMESTER High End Surround Sound System, Sport Exhaust System, 20" RS Spyder Design Wheels, Sport Chrono Package Plus, NAVIGATION SYSTEM, REMOTE ENGINE START, POWER TILT/SLIDING SUNROOF, HEATED AND COOLED FRONT SEATS, HEATED REAR SEATS, HEATED STEERING WHEEL, BRAKE ASSIST SYSTEM, BLUETOOTH CONNECTION, DUAL-ZONE A/C, HID HEADLIGHTS, FRONT AND REAR PARKING SENSORS, KEY-LESS START, KEY-LESS ENTRY, DRIVER/PASSENGER ADJUSTABLE LUMBAR, POWER REAR SPOILER, STEERING WHEEL AUDIO CONTROLS, UNIVERSAL GARAGE DOOR OPENER, RAIN SENSING WIPERS, REAR READING LAMPS, ELECTROCHROMIC REAR-VIEW MIRROR, AUXILIARY AUDIO INPUT, MEMORY SEAT, HEATED MIRRORS, TILT STEERING, POWER WINDOWS, POWER LOCKS, POWER MIRRORS, POWER SEATS (both) and more! Contact Kyle Porter at 816-616-2500 or email: kyle@executiveautomotive.com for additional information. Thanks for your interest in our Panamera Turbo!